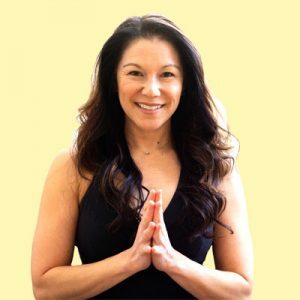 Christine exchanged a fast paced, world traveling, Senior Marketing Analyst career for a life of teaching yoga, so that she may help others life a radiant life by connecting mind, body and spirit. She completed her 200-hour Yoga Alliance Teacher Training in 2009 and, quickly became experienced in many other modalities including Vinyasa Yoga, Power Yoga, Yin Yoga, Yoga Nidra, Yoga Therapy and, more. In 2017, she launched her own Standup Paddleboard (SUP) Yoga company – Dragonfly Paddle Yoga – and operates in Colorado Springs and Monument. Among many other specialties, Christine has experience in leading workshops, teacher trainings, large group classes for schools and military organizations, and hosting her own international yoga retreats. 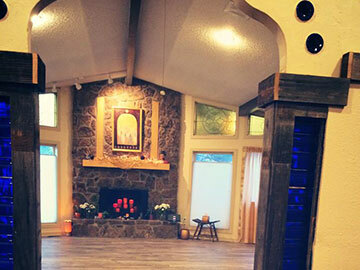 Christine is passionate about sharing the practice and lifestyle of yoga. On the mat, Christine teaches a blend of asana, mudra, pranayama, mantra and guided meditation. She draws inspiration for her teachings from her students as they transform their own lives through empowerment and self-discovery. Christine loves connecting with her students. The moment you walk into the studio, she is there for you and wants to know how you are, exactly in that moment and in every other moment as she guides you through class. She is known for cultivating a genuine connection with her students, and strives to relate on and off the mat. Her classes are often described as having a playful spirit, flowered with compassion, imbued with humor, and guided by her collective wisdom.